이정신의 28살 생일 기념품을 제작합니다. 뒷면은 HappyJungshinDay28 이정신 친필을 인쇄하였습니다. 하나의 줄에 이정신과 심바의 사진이 두개 걸리는 형태입니다. 수량에 따라 가격이 조정될 수 있으니 수량 확정 후 다시 정확한 금액을 알리겠습니다. 1인 2개까지만 신청할 수 있습니다. 이정신의 생일 기념품이니 되파는 일은 없길 바랍니다. 1번과 2번을 구분하여 9월 9일까지 신청해주세요. happyjs0915@naver.com 으로 기념품신청]이라는 말머리를 달아서 메일 보내주세요. 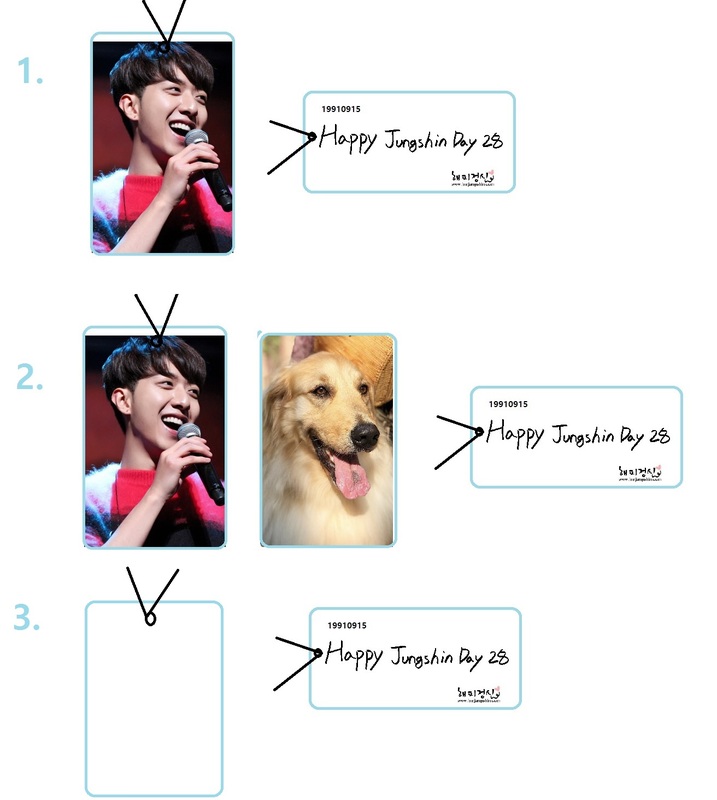 We are planning to produce Lee Jung Shin's 28-year old birthday souvenir. It is a souvenir looks like an army identification card. Lee Jung Shin's photo will be printed on the front side and the back side will be "Happy Jungshin Day 28" which is wrote by Lee Jung Shin. Since the price may be adjusted according to the order quantity, we will inform you of the exact amount again after confirming the quantity. Please choose between No. 1 and No. 2 and apply by 9th September. Please write email with title "Souvenir Application" to happyjs0915@naver.com for application.